When you install foam insulation in your Kansas City, Missouri, home, you may be worried about the cost. After all, spray insulation is usually more expensive than traditional insulating materials, such as fiberglass or cellulose. Well, you may not need to worry about whether you will see a return on your investment after all. That’s because many homeowners who put their houses on the market after they install this type of insulation find that they recoup the initial installation costs when they sell because home buyers find houses with spray foam to be very attractive. Home buyers know that spray foam keeps the costs of heating and cooling homes lower than traditional insulating materials, which is a definite benefit with energy costs getting higher and higher. The same holes that allow your conditioned air to escape also allows environmental pollutants to enter. When spray foam closes those holes, you may find a significant reduction in the amount of pollen, mold, and other pollutants that can enter your home, which could mean a bit of relief for allergy and asthma sufferers. Because foam insulation dries to a solid substance, it reduces the amount of noise that can penetrate the walls of your home, resulting in a quieter environment. 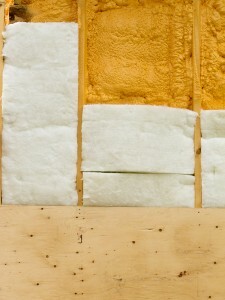 Finally, foam insulation reduces the dependence on natural resources and is an attractive green alternative. When you’re ready to enjoy the benefits that foam insulation can offer, contact the insulation professionals at 31-W Insulation today. We have been installing insulation and providing other home improvement services for homeowners since 1972, and we are proud to offer free estimates and consultations in Kansas City, MO, and surrounding areas.